Suman Das is a Professor of Mechanical Engineering and of Materials Science and Engineering, and Director of the Direct Digital Manufacturing Laboratory at Georgia Tech. He holds the Morris M. Bryan, Jr. Chair in Mechanical Engineering for Advanced Manufacturing Systems. He is a program faculty in the Parker H. Petit Insitute of Bioengineering and Bioscience, and in the Interdisciplinary Bioengineering Graduate Program at Georgia Tech. Das joined the Woodruff School of Mechanical Engineering as an Associate Professor with tenure in Fall 2007, was promoted to Full Professor in March 2011 and to Chair Professor in November 2012. Prior to joining Georgia Tech, he was a tenured Associate Professor (2006-2007) and an Assistant Professor (2000-2006) in the Mechanical Engineering Department of the University of Michigan at Ann Arbor. He received his B.Tech. (1990) in Mechanical Engineering from the Indian Institute of Technology, Madras. He obtained his M.S. (1993) and Ph.D. (1998) in Mechanical Engineering from The University of Texas at Austin. Subsequently, he completed a post-doctoral fellowship there during 1999-2000. Das is internationally known for his leadership in the fields of additive manufacturing, direct digital manufacturing, rapid prototyping, and large-area micro/nanostructure fabrication, having conducted over 24 years of research in these fields. His contributions have been recognized through numerous awards. Prominent among them are the 2009 Georgia Tech Woodruff Faculty Fellowship, the 2008 University of Texas Mechanical Engineering Distinguished Alumnus Award, the 2004 Society of Manufacturing Engineers M. Eugene Merchant Outstanding Young Manufacturing Engineer Award, the 2003 National Science Foundation Faculty Early Career Development Award, the 1999 University of Texas Outstanding Dissertation award for his doctoral dissertation titled "Direct Selective Laser Sintering of Metals", the 1998 TMS Michael Koczak best paper award from the Minerals, Metals and Materials Society (TMS), and the 1997 Los Alamos National Laboratory director's post-doctoral fellowship. He has also received the 2005 and 2004 Literati Club Highly Commended Award for Excellence. 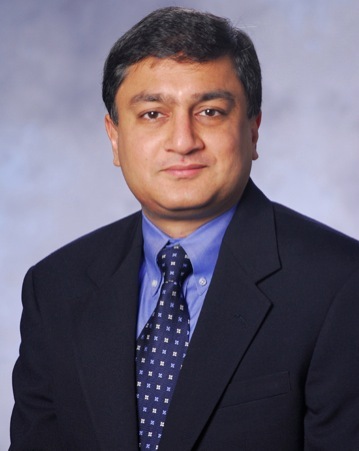 His research program covers a broad variety of interdisciplinary topics under the overall framework of Additive Manufacturing advanced through a synergistic combination of computational design methods, manufacturing and materials processing technologies, and materials science. In all his research endeavors and collaborations, he strives to integrate these three elements together to achieve new fundamental scientific insights, to produce groundbreaking, high-impact results, and to create innovative and disruptive additive manufacturing technologies. Overall, these research efforts are directed towards applications in the Aerospace, Healthcare, Energy, and Nanotechnology sectors.